Lyft is very clear that it believes the future of transportation is driverless vehicles. But it has not told investors how it intends to get there. Lyft has begun pitching itself to investors in earnest this week. On Monday, the company filed an amended registration statement with the Securities and Exchange Commission announcing plans to sell about 30.8 million shares at a price range of $62 to $68. The word “autonomous” appears in the new filing a total of 108 times, an indication of just how important a role the company sees driverless cars playing in its future. It likely also reflects investor enthusiasm for autonomous vehicles, as Tesla’s sky-high valuation attests. “In the next five years, our goal is to deploy an autonomous vehicle network that is capable of delivering a portion of rides on the Lyft platform. Within 10 years, our goal is to have deployed a low-cost, scaled autonomous vehicle network that is capable of delivering a majority of the rides on the Lyft platform,” Lyft says in the filing. Lyft has already made some progress toward this goal, rolling out the first commercial deployment of autonomous vehicles in partnership with Aptiv, a self-driving technology company, in Las Vegas. But the question the filing does not answer is likely to be a critical one for many investors: who will pay for all these self-driving cars? Another word for autonomous vehicles is driverless. 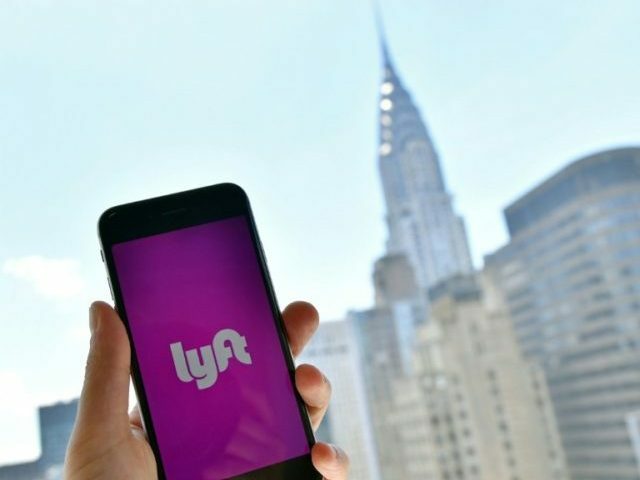 Up until now, the basic business model of Lyft and its larger rival Uber, expected to pursue an initial public offering next month, has been asset light. The companies provide technology and networks to their drivers but the drivers provide the investment in the vehicles. As recently as 2017, Lyft had just $14 million of property and equipment on its balance sheet. That is already changing. In a single year in 2018, Lyft added $95 million of property and equipment to its balance sheet. And rolling out a fleet of driverless vehicles will likely mean a much larger balance sheet expansion. After all, the cars may be autonomous, but they will not finance themselves. Once drivers are out of the question, Lyft will either have to pay up for its own cars or concoct some form of financial wizardry to outside investors to provide the capital. No doubt, this is one of the silent rationales for going public. Lyft needs equity capital to invest in this self-driving fleet. But since providing rides to customers day-in and day-out rapidly wears down vehicles, this will not be a one-time expense. The investment in new vehicles will have to be repeated every year. “We believe that autonomous vehicles will be most effectively and affordably deployed through ridesharing networks rather than through individual ownership, due to the higher utilization opportunity and the ability to provide a human-driven ride when a route cannot be served with an autonomous vehicle,” Lyft explains. But how this will work is left to the imagination. Lyft knows where it wants to go, but it has not provided investors with a roadmap of how it plans to get there. Instead, it just asks investors to sit back and enjoy the ride.